Titanium Studio is based upon the Eclipse product family. 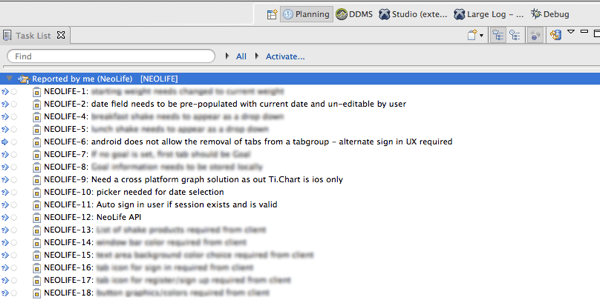 Because of that, we can install a good number of Eclipse add-ons into Titanium Studio. 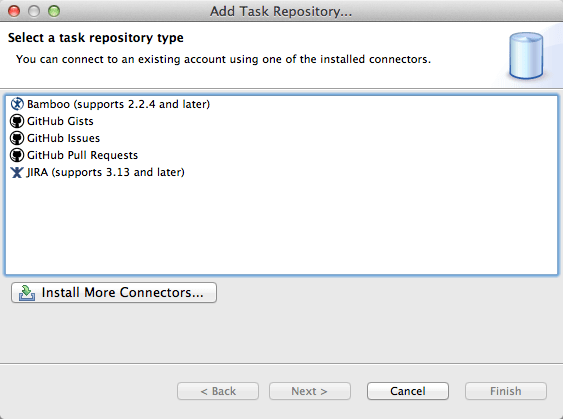 In this article, we will walk through how to install the add-ons required so we can manage our issues from within Titanium Studio. 2. If the Eclipse Indigo Update Site isn’t already available as a source site, you may need to add it (http://download.eclipse.org/releases/indigo). But we will search for ‘github’. Check the result. Be sure to also check ‘Contact all update sites during install to find the required software’. 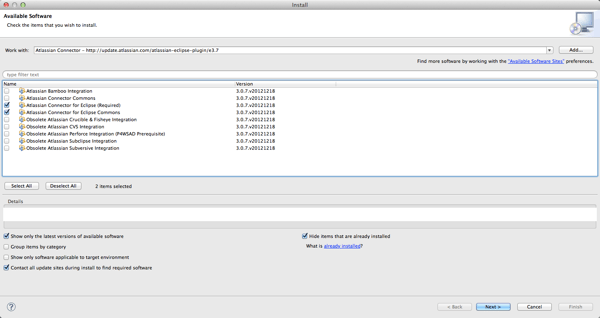 This will allow the installer to find and download required prerequisites for you. 3. 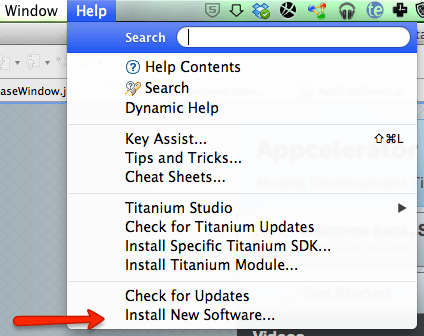 Once the add-on has been installed, you will most likely be prompted to restart Titanium Studio. It is ALWAYS worth restarting. Nothing good ever comes from ‘try and see’. 4. Once Studio has come back up, we need to open up a new perspective. 7. 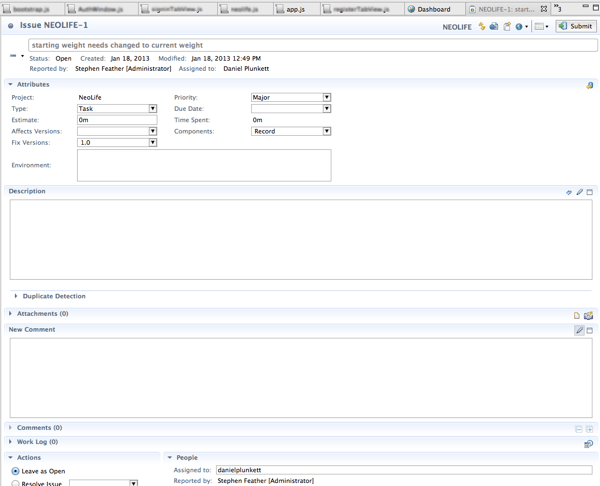 So lets add the JIRA connector. Back to Install New Software like we did in step 2. 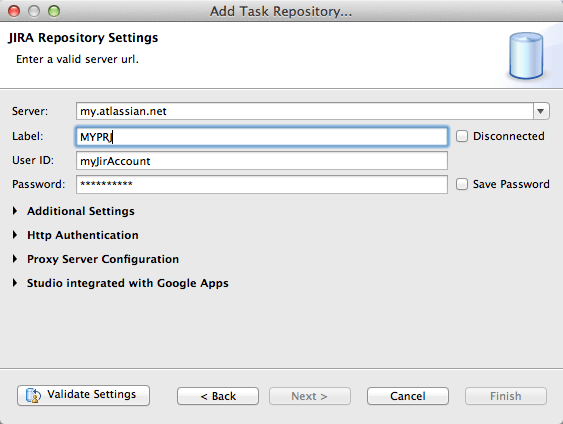 Only we will be using http://update.atlassian.com/atlassian-eclipse-plugin/e3.7 as our update site. 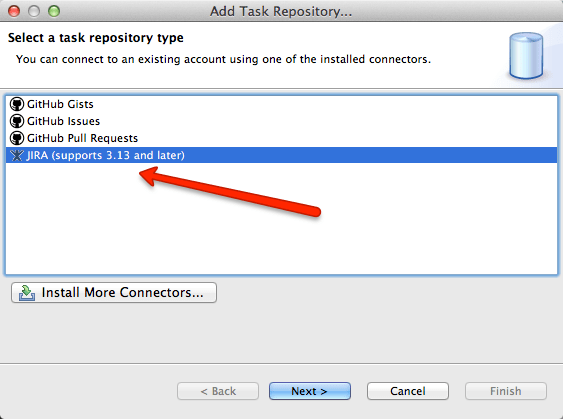 You could search for it inside the Add Repository interface (will point that out later) but 9 times out of ten you will get a requirement error. Select Commons as well as the required add-on. Again, be sure that ‘Contact all update sites…’ is checked at the bottom. 8. Just like step 3, restart studio. 9. So lets add a repository. 10. You are presented with the available connectors you can use. The ‘Install More Connectors’ will offer additional site resources, most paid/commercial, some free. 12. 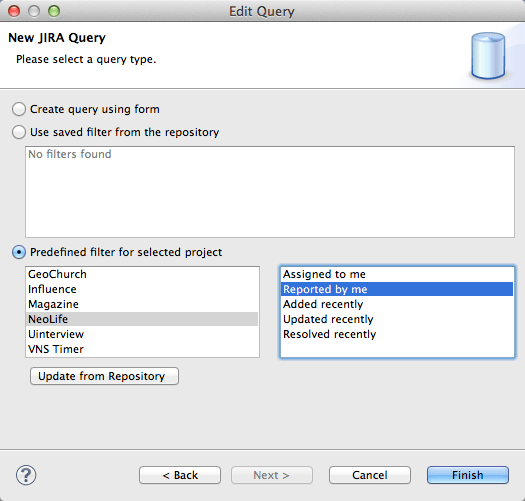 This example uses an Atlassian Hosted JIRA service. If you are self hosting, simply change your server. Keep in mind that Atlassian uses a secured SSL service, so you will need to preface your server with https://. 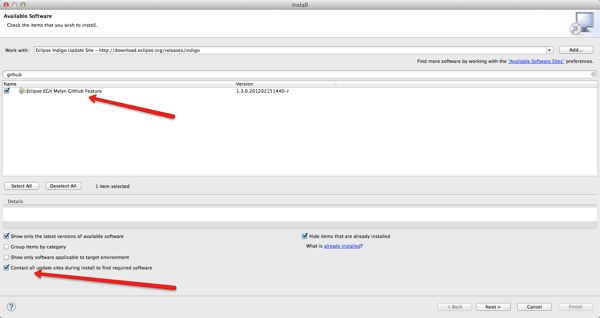 The label is NOT the labels you use to preface your JIRA issues, but the label that references this connection in Titanium Studio. 13. 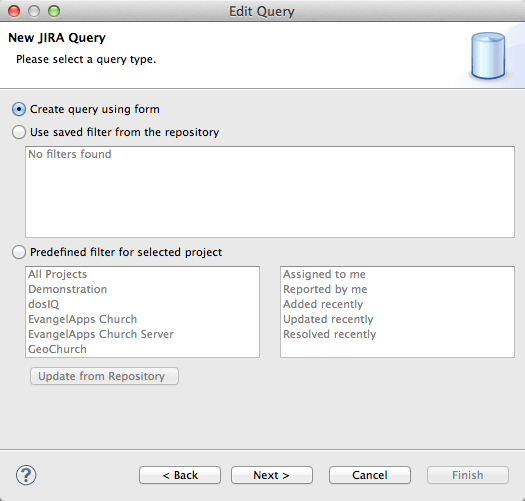 Once you have configured the repository, you will be prompted to create a query. You can create a variety of queries. You can choose to have all tickets from all projects displayed, or maybe just your tickets from a particular project displayed. These queries appear as folders in your Planning perspective. 14. In this example, I’m going to create a query of all the tickets I’ve reported to the NeoLife project. 15. Once finished, and the sync has taken place, my tickets appear in the planning view. 17. 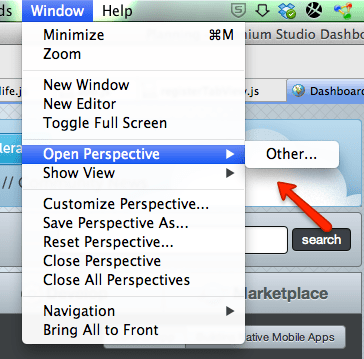 If I need more details, or wish to modify a ticket, I can double click on one and the ticket opens in the editor pane. 18. 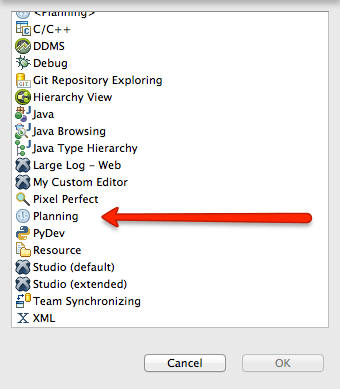 If you need to pull issues from Github, Add your repository, and create a query. You can also have a query of your gists for quick access to code as well.